The Alzheimer's Association advises adjusting your expectations this holiday season when providing Alzheimer's care. It can be stressful trying to get the entire family together, sort out sleeping arrangements, cook large meals and coordinate everyone's plans. Don't overwhelm yourself by trying to stick to a normal holiday schedule. Prioritize the events that matter most, and politely explain to others that visiting in person may not be possible this year. If you usually take charge of Thanksgiving, consider finding out if anyone else wants to host, or ask for help from others to take some of the responsibility off your shoulders. According to the Mayo Clinic, too many decorations may cause over stimulation. For example, decorations that are easily breakable, resemble food, make loud noises or flash on and off may cause disorientation. Also avoid safety hazards such as lit candles. Avoid loud music during meal times or other social occasions so there isn't too much background noise. This doesn't mean you can't create a well decorated atmosphere at home, but rather that you need to be cognizant of what decorations you choose to use. Loud and busy settings such as a shopping mall or crowded department store may cause disorientation and anxiety. Celebrate the holidays in a familiar, quiet setting. If you get invited out for a local holiday event, consider declining and instead inviting your friends and family to come over. That way, the person you are caring for can see the people they care about in a comfortable setting. The person you are caring for can still get involved in the holiday festivities. Ask for help wrapping gifts, making baked goods, preparing a holiday newsletter or other seasonal activities. Watch your favorite holiday movies together with other friends and families. Use your instincts as a caregiver to determine what activities are safe. This can be especially pertinent in the kitchen when preparing holiday meals. 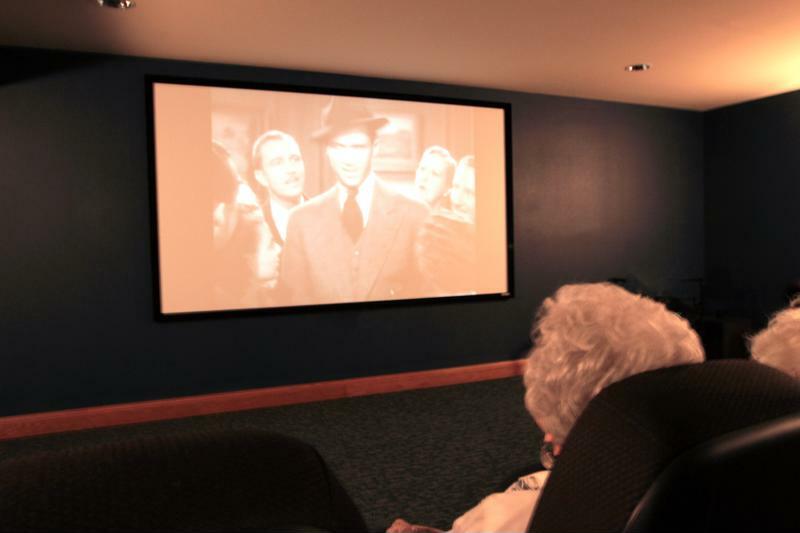 Celebrate the holiday season by watching classic movies with your loved one with Alzheimer's. If you help care for a friend or loved one in an assisted living memory care community, find out what events are taking place there and get involved. Consider bringing along a snack or dish that is easily shareable for the person and others in their living facilities. While you're there, consider getting others involved in familiar activities such as singing seasonal songs.